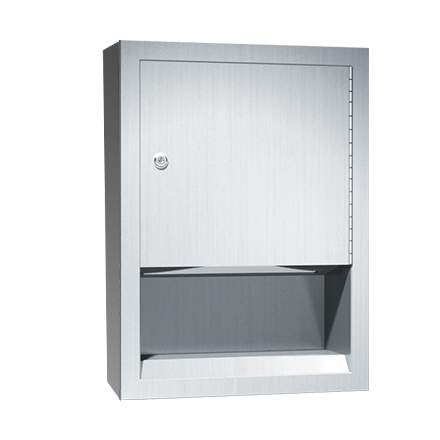 Dispenses 350 C-fold or 500 multi-fold paper towels; well-suited for smaller washrooms with less space and traffic. Towels are self-feeding until supply is depleted. Unit may be reloaded with a partial load in-place and will continue to feed properly.